If you want your business to garner attention in the modern age, knowing search engine optimization is a must. If you don’t understand it, you need to get an SEO expert on your side who does. Research shows that most users who search for information online click on the first search result that pops up on their lists. In other words, if you’re not No. 1 on the list, or at least in the top 5, you’re losing a lot of customers, sales and or leads. Want to improve your search rankings, reach more customers, and drive more leads? 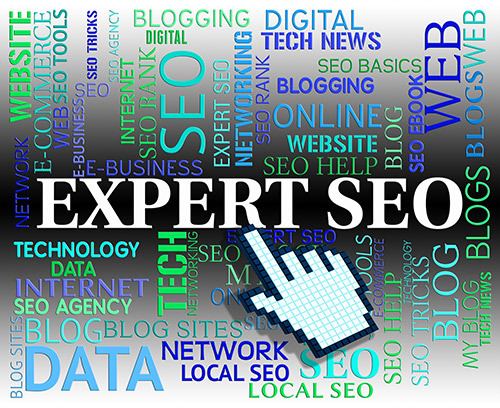 Here’s a rundown of the many reasons you should hire an SEO expert. Maybe your website has been taking up real estate on the Internet for a few years now. Unfortunately, longevity online has little to do with how successful you are in your online business although it does give a boost to the website’s authority it does very little for how you rank. Let’s say you have a brick-and-mortar business. Just because your business has been on Main Street for years or even decades doesn’t mean business is booming. If your informative and well-designed website has been in operation for a while but fails to appear within a search result list’s first few pages, something is wrong. Your SEO strategy could use a major boost. That’s where an SEO professional comes in. An SEO expert can help to drive more traffic to your site so that you have more opportunities to convert potential customers to paying customers. Another reason to hire an SEO expert? It’ll save you time. And, of course, you already know that time is money. If you haven’t already figured this out, trying to handle SEO on your own is time-consuming. This is true if your company’s chief marketing officer — or you if you operate a small business — is a novice at SEO. The more time you free up by outsourcing your SEO marketing, the easier you’ll find it to concentrate on your business’s core competencies and keep your company operating smoothly. Keep in mind that SEO is not something you do one time and then move on with your life. No, far from it. SEO takes a lot of time if you want it done correctly. Fortunately, an SEO expert, unlike you, has the resources and time required to give your company’s online marketing strategy the attention needed to make it successful. Did you know that Google’s search algorithm gets updated regularly? And no, we’re not talking about several times a year or even several times a month. We’re talking about several times per day. Did you know they recently upgraded the meta tag description to 320 characters? Can you keep up with all of these changes on your own and implement them in your SEO strategy? Didn’t think so. Unfortunately, failure to track these changes can cause your Web traffic to decline due to your competitors knowing these things when you don’t. However, part of an SEO expert’s job is to know when brand-new updates are coming and then to make sure that these updates are implemented for your business website. That’s why hiring an SEO expert is so valuable. An expert will keep you from getting left behind in the digital dust. It’s very similar to any profession. I’m sure you would not represent yourself in court, you would hire a lawyer because they know the rules of law. Well an SEO expert knows the rules of search engines. A seemingly minor SEO error can spell major problems for your business ranking on search engines. For instance, perhaps you are utilizing a certain keyword too often or are not naming your blog post images. Believe it or not, there is such a thing as over-optimization, and it can be as detrimental as under-optimization. Why? Because search engines will penalize your website, and you may even get blacklisted. That means you’ll lose traffic and sales leads, which will take even more money and time to reclaim. This is why it’s critical to hire an SEO. You might understand some SEO basics but not much more than that. And unfortunately, that’s not enough in today’s online world. If you want to survive, your understanding of SEO needs to be strong. You’re so preoccupied with running your business that focusing on following Google’s Webmaster Guidelines and employing white-hat SEO practices are probably not high on your daily to-do list. They are on an SEO expert’s priority list, though. Get an expert to help you. SEO experts understand the value of statistics, and they also understand SEO statistics inside out. This means they can transform your business’s SEO report data into business intelligence you can digest with ease and capitalize on right away. Getting a good return on your investment is paramount in every area of your business, and SEO marketing is no exception. If you want to get the most bang for your buck, it is crucial that your marketing is done properly. When you hire an SEO expert, the expert can create specific goals for you that are measurable and increase your brand recognition and thus the return on your investment. Webdesignservices.net ranks for most of it’s target key phrases and our client’s website do also. We have a successful track record of helping businesses to grow organically rather than simply spamming search engines. This is what makes us stand out in the SEO industry. For over 18 years we have been providing both SEO and PPC techniques, which have dramatically increased the income of many of our clients. We know how to get your website noticed and help you to be viewed as a valuable authority in your industry. Once you secure this foothold, you can dominate the competition when it comes to driving traffic to your site. Get in touch with us to find out more about how we can help your company to climb up in the search rankings and remain on the top long term.